Welcome to Once Upon A Moon Studios. 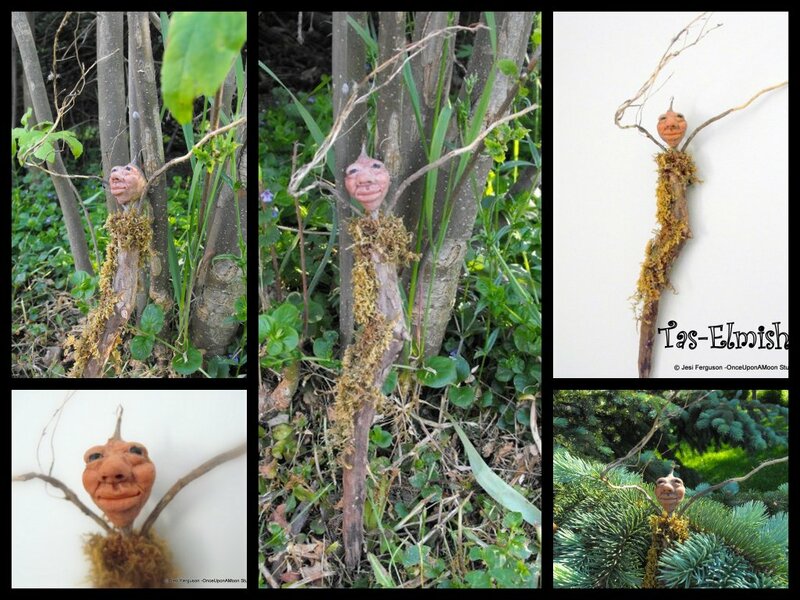 My name is Jesi Ferguson and I'm a mixed media artist specializing in Art Dolls. Ok, so much for the stuffy intro line. Thanks for stopping by to see us! 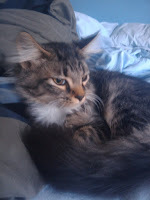 The fuzzy guy is SiR T. H. McAnally, art critic extraordinaire. He pretty much runs the place. I'm just the hired help. My dolls are all flights of fantasy that escaped from my head and onto my work bench. If I sculpt them fast enough I can capture them. If not, they may wander around the studio for days or weeks before I get them tamed down and sculpted. At the moment there is a root dryad that is pacing around waiting on clothes and a wise woman with no hair who is not very happy with me at all. ( I really should be in the studio LOL but I wanted to make sure to tell you hello) You can see more of the things that wander out of my imagination by clicking on the GALLERY link at the top of the blog. OK, enough about me. 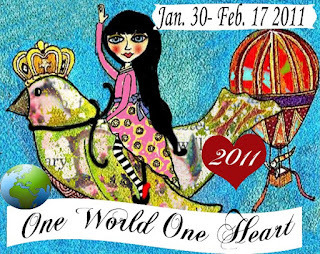 Let's talk about One World One Heart. That's all you have to do! Cool, right? Now, let's see what you have a chance to win!! His name is Tas-elmish. 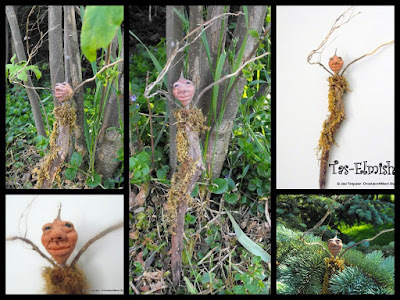 He is a twig sprite who has taken up residence in my yard. He's a very happy guy considering he just lost his home. He used to live in a small run of trees near here, but the neighbors showed up with a bulldozer, and, well, he felt a move was in order. I have an inkling that a few of his friends will be moving in also. Tas-Elmish is one of a kind (OOAK). He was designed and sculpted entirely from my imagination. No molds were used during sculpting. None were made after the piece was finished. Tas-Elmish is a mixed media piece. His body is a found twig and smaller ones make up his arms as well. His head is a goldenrod seed pod that was sculpted over to give him his quirky smile. His dark glistening eyes are black glass beads and he wears a lovely moss ensemble to protect his modesty. Tas is approx. 15 inches tall from the tips of his arms to the bottom of his... twig. He is about 6.5 inches wide at the arms. There is a small wire loop on his back so that he may be hung up for display. I'm so excited that this little guy will be finding a new home. Stop back by anytime!!! We love company!